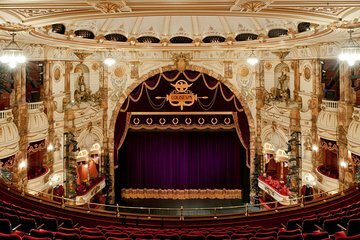 Discover the hidden histories of London's Coliseum, home of the English National Opera (ENO). Through enlightening and entertaining stories, your guide transports you back in time to the rich and colorful years when the Coliseum was a ‘Palace of Variety' through to its transformation to opera house. See for yourself s a small section of a ENO working day as you walk an entire circuit of the building, including the backstage area.